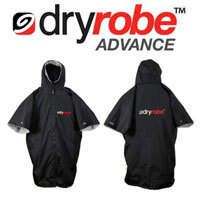 The current dryrobe product itself was created as a mix or hybrid of existing products. The towel change robe was an established idea but it just didn’t work for me. If it was raining or if I used it when it was cold or windy it seemed to make me colder. 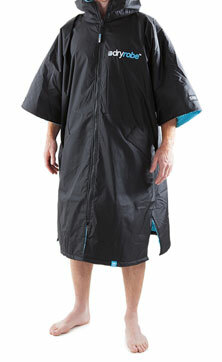 I always had the old waterproof & windproof ‘robe’ idea in the back of my mind but didn’t really think to develop it. It took one cold winters day, stood in a car park at Croyde, in the rain with a soggy towel robe on, freezing cold for me to think, right I’m going to make something better.